Edugyan's prize-winning novel will be adapted by screenwriter Selwyn Seyfu Hinds. 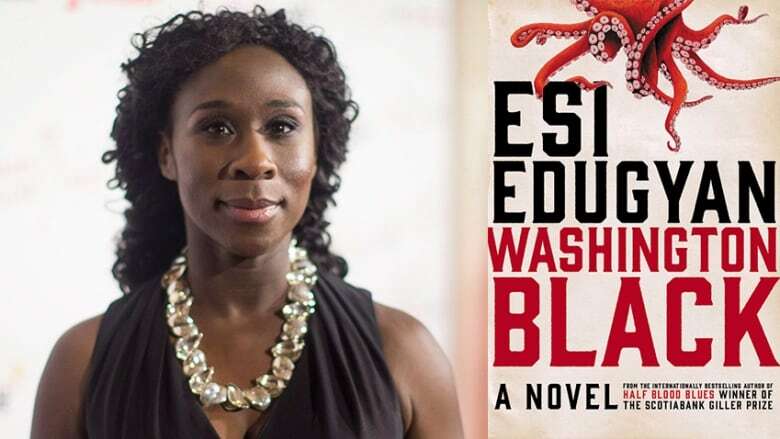 Television rights to Esi Edugyan's award-winning novel Washington Black have been acquired by 20th Century Fox TV, her publisher HarperCollins confirmed to CBC Books. Anthony Hemingway Productions, Indian Meadows Productions and the Gotham Group worked with Fox in the intense bidding war, according to Variety. Edugyan will serve as executive producer of the limited series. It will be adapted by screenwriter Selwyn Seyfu Hinds. Anthony Hemingway, who has directed episodes of American Crime Story and The Wire, is attached to direct the series. Washington Black is named for its narrator, an 11-year-old boy called "Wash" who is born into slavery on a Barbados plantation. His master is Englishman Christopher Wilde, who is obsessed with developing a machine that can fly. When a man is killed, Wilde must choose between his family and saving Black's life — and the choice results in an epic adventure around the world for Wash. The novel won Edugyan her second consecutive Scotiabank Giller Prize, Canada's richest literary award. It was also shortlisted for the 2018 Man Booker Prize and Rogers Writers' Trust Fiction Prize. It is the Victoria, B.C.-based writer's third novel, following Half-Blood Blues and The Second Life of Samuel Tyne.